Rugby teammates are mates for life: South African Rugby Legends Association (SARLA) CEO, Stefan Terblanche, and his former Osprey’s teammate, Welsh international James Storey, have proven this to be true by working together to bring joy to young rugby players from underprivileged areas in South Africa. 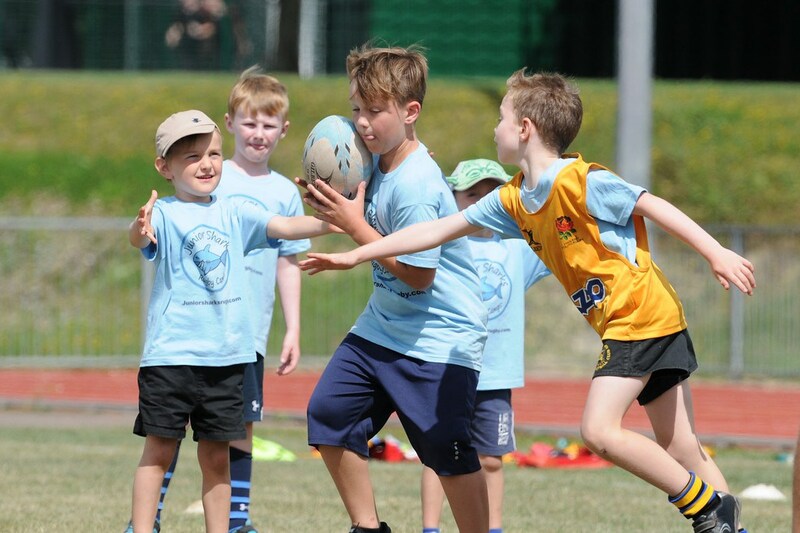 United in rugby, Stefan and James keep in regular contact, which is how James heard about SARLA’s Vuka Rugby development programme, which helps to promote rugby at grassroots level and give children from disadvantaged areas the opportunity to play rugby. Like any other sport, it boosts their self-esteem and teaches them about discipline, team-work, and sportsmanship. 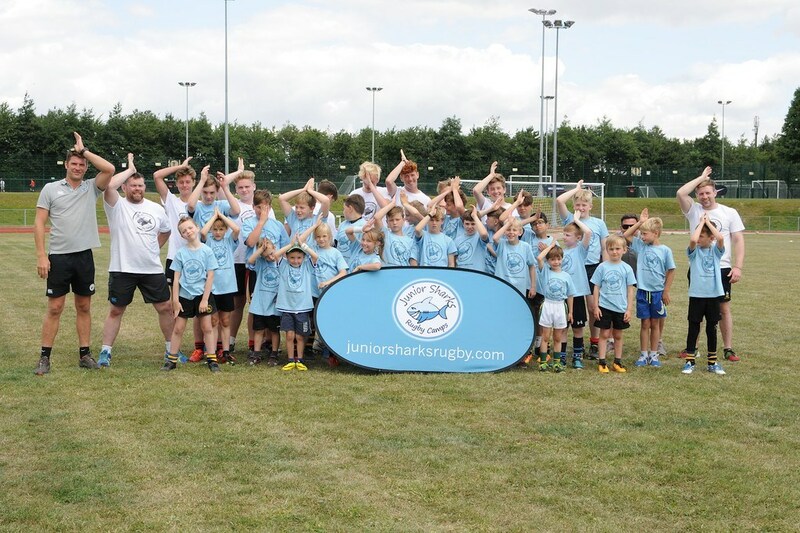 James runs Junior Sharks Rugby, a successful rugby coaching company in the UK and he immediately saw a way to contribute to Vuka through a charity drive focusing on rugby boots and other gear. 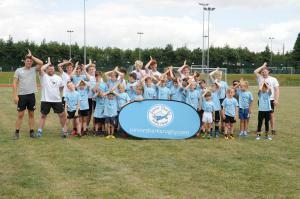 Junior Sharks Rugby is named after Great White Sharks, by James’ son who has always been fascinated with the animals. 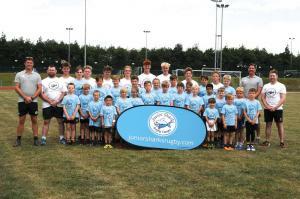 It offers quality coaching to young rugby players around the Hertfordshire area and, in turn, contributes towards the development of rugby in the re-gion. James first got the idea of setting up a boot charity when he toured South Africa with Wales in 2002 and spent some time at a coaching clinic where a huge number of children arrived barefoot. The memory of these youngsters, who played rugby with no boots on, but still managed to have huge smiles on their faces, stayed with him. When his son, now 8, started playing rugby and growing out of his boots each season, he saw the growing pile of virtually brand-new rugby boots and realised that the gear could serve a worthy cause. The boot charity is being run by Junior Sharks Rugby and they have already collected 100 pairs of rugby boots of all sizes, waiting to be sent to South Africa. Local clubs and schools from the Hertfordshire area have been contributing and the collection is gaining momentum via word of mouth and social media. With the current 2016 / 2017 rugby season drawing to a close, James is expecting many more pairs of boots and other types of rugby gear to be added to the pile. SARLA’s logistics sponsor, DSV, have also come on board to arrange for the delivery of the boots from the UK. 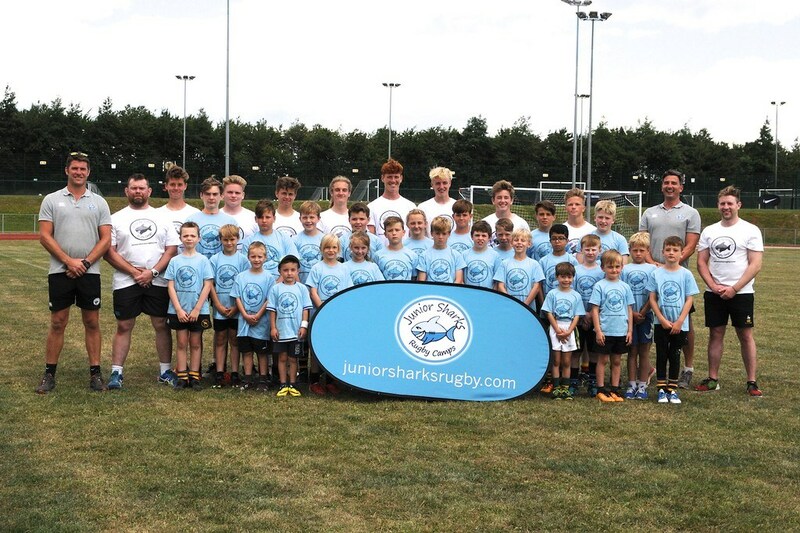 Anyone based in the UK who needs more information or wanting to contribute to the boot collection drive can contact James at juniorsharksrugby@yahoo.com. For those based in South Africa, please contact info@sarugbylegends.com.